The almond is originated in southwest Asia and the Middle East, as far as the Indus River in Pakistan. Almonds are one of the healthiest nuts in the world. They contain many healthy fats, vitamins, minerals, antioxidants and other nutrients. They help reduce the bad cholesterol (LDL) and at the same time increase the levels of good cholesterol (HDL) in the body which reduces heart diseases. They are rich in vitamin E which is a strong antioxidant helping fight free radicals that cause cancers, degenerative diseases and aging. In addition, almonds are good source of protein and rich in calories which means they are source of lasting energy. 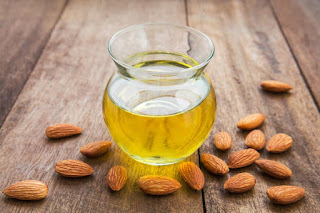 Almond oil is extracted from almonds. There are many varieties of almonds, but they are generally classified into two classes. - Bitter Almonds: these are almonds that are bitter to taste. They are hardly ever eaten, or used in recipes. Bitter almonds however are used to produce bitter almond oil. These almonds contain a small amount of hydrogen cyanide, which is extremely poisonous. Eating just a few of these almonds can lead to a vertigo, or even death. - Sweet Almonds: these are the almonds that we are accustomed to eating. They are used to produce sweet almond oil. This oil too has a sweet taste, making almond oil one of the tastiest almond oils. Almond oil has a high potassium content and low sodium content which helps in regulating blood pressure and maintains cholesterol levels. This prevents in development of cardiovascular diseases. It is also rich in folic acids and protein which are proved to be beneficial for cardiac health. 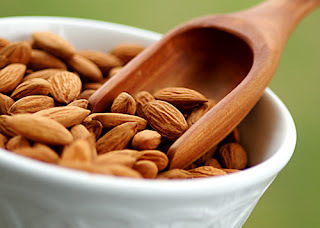 It is known that intake of almonds as part of our regular diet can also lower and regulate the high cholesterol levels. Diabetes occurs when your blood sugar becomes elevated due to your pancreas or cells being unable to produce insulin properly. Almonds and almond oil have been proven to both help regulate blood sugar levels. Some researches have proven that people who consume almond oil as a regular part of their diets show greater weight loss than people on an identical diet without almond oil. Heart disease is often caused by chronic inflammation. Adding regular almond oil consumption to your diet should help you to reduce inflammation in your body and keep your heart healthy. Almond oil is a great source of omega-3 fatty acids. It also has significant amounts of potassium. These nutrients support the nervous system and keep any kind of nervous disorders at bay. Add a few drops of the oil to a glass of milk and drink this every night before you go to bed. Almond oil improves the complexion greatly and imparts a warm glow to the skin. It completely nourishes the skin, making it smoother and softer. Applying almond oil on your skin regularly will make your skin feel younger and fresher. 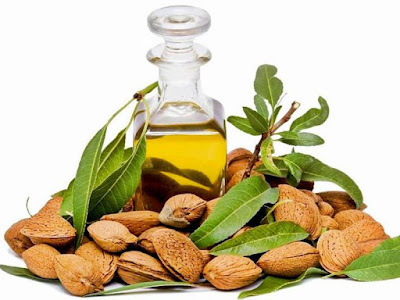 Getting rid of wrinkles is one of the most known benefits of almond oil for skin. Massaging your skin with this oil will help in improving the blood circulation and tighten your dull, aged skin. Massage your under eyes with almond oil every day before you go to bed. The vitamin E in the almond oil with regular use will lighten the skin under the eyes. Regular use of almond oil will also reduce wrinkles and crowfeet around the eyes. Almond oil adds an intense luster to your hair and makes it healthy. Apply almond oil once or twice a week to moisturize the scalp. This will reduce hair fall and improve the hair quality. For healthy strong nails, massage them with a few drops of almond oil daily. The potassium and zinc present in the almond oil, leaves your nails feeling stronger and more hydrated, and making them less prone to peeling or breaking. Before you go to bed, dip an old mascara wand to apply in the almond oil and apply the oil on the eyelashes, just the way you would apply mascara.